Editor's Note: Pacific Jewel left the P&O Cruises Australia fleet in April 2019. 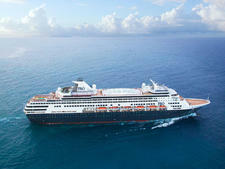 The vessel has been transferred to Zen Cruises subsidiary Jalesh Cruises and renamed Karnika. After undergoing a multi-million-dollar refurbishment, Pacific Jewel has proved to be a hit in the New Zealand cruising market. The longtime Aussie favourite underwent a facelift in early March 2018 before embarking on a New Zealand cruise season for winter and returning to Australia for summer. 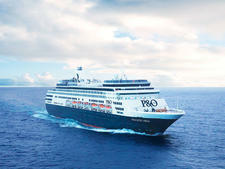 Passengers have embraced the relaxed atmosphere of the ship, while also enjoying the tastefully updated public areas. While it isn't the newest or most technologically advanced vessel, the updated decor has breathed new life into Pacific Jewel, giving it a more modern character. Soft greens, blues and earthy tones have been used extensively to create an inviting feel. Soft furnishings are a welcome addition, providing passengers with comfortable places to relax. Artworks and other decorative pieces have also given Pacific Jewel a botanical and almost beachy vibe, most notably in Connexions Bar and the new Shell & Bones seafood eatery. Upgrades in the Dome have also lifted the tired nightclub, creating a more appealing space. Unfortunately, other areas on the ship are showing their age. The Casino and the Marquee Theatre are dated and lack warmth. The stairwells, lifts and Waterfront Restaurant are all in stark contrast to the refreshed areas of the ship. Despite these shortfalls, Pacific Jewel has a certain charm that helps passengers feel at home while aboard. The ship is easy to navigate and the Atrium is a popular place for passengers of all ages to meet, drink or listen to live music. For the majority of the time, the ship never feels crowded and there are many quiet places to unwind. The level of service was mostly excellent from stewards, waiters, front desk and other crew. Servers in the Pantry (P&O's alternative to a buffet) greeted each passenger enthusiastically despite the repetitive nature of the job. Cleanliness was also of a high standard and tables were cleaned quickly and efficiently. Despite sailing on the Pacific Jewel within only two months of its refurbishment, some signs of wear and tear were already showing. For example, the stitching on some of the furniture was already fraying and some artworks were damaged. While these might seem like small infractions, they take away from the work that has gone into sprucing up the Jewel. 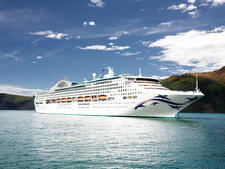 As the Pacific Jewel is currently based in New Zealand, the majority of the passengers were from New Zealand. And, as the cruise we boarded was a three-night Comedy Gala (and during school term) most passengers were middle-aged adults. There were a few children and a number groups of passengers in their 20s, however due to the theme of the sailing, the majority were middle-aged couples and large friendship groups in their late 30s to early 50s. There were also a few younger children onboard, as well as young teenagers who took advantage of The Edge Adventure Park activities, in particular the flying fox, rock climbing and Walk the Plank. Predominantly, passengers on the Jewel wore relaxed, casual clothing during the day and also in the evening. After 5.30 pm, the line asks for 'smart casual' attire in public lounges and restaurants. 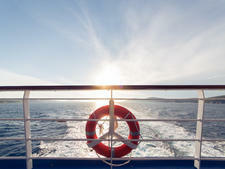 There are no formal nights; instead, up to three (optional) fancy-dress theme parties are held on each cruise. Many people on our New Zealand sailing made a considerable effort on both theme nights, Nero and Gatsby. As Nero night is quite a broad theme -- wear anything black -- the attire was not as impressive as the Gatsby theme night, which brought out all the sparkly dresses, cool suits and accessories. While it is not compulsory, do make an effort, even if just for the fun photos. If you don't have your own Gatsby gear, you can buy bow ties, feather boas, hats and headpieces from the onboard shops, or make your own headpiece at a workshop (for a fee). 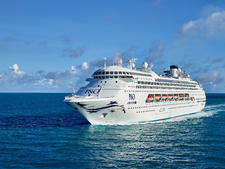 When sailing in Australia, Pacific Jewel has Bianco instead of Nero, with everyone wearing white. There is also a retro Back to School party where you drag out your old uniforms. Although dressing up is optional, these nights go hand-in-hand with a host of associated activities regarded as part of the P&O fun. Pacific Jewel requires no tipping; however, there are envelopes and feedback cards available at reception for passengers to leave a gratuity at their own discretion.